Circle The D.O.G.S. is a band based out of Albuquerque, NM. 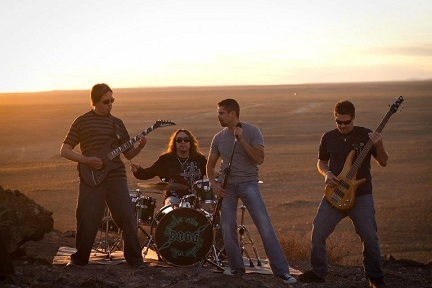 Three of the members, Steve Deblanc (Guitars/keys), Charles Ortiz (Drums), and Vince Garcia (Vocals), were in the band “First Strike,” in the ealy to late 90’s that played throught the southwest region. Now reunited and with the addition of Scott Olive on Bass, and with the music playing blood flowing through the veins again, we have created ten songs tht has infused some of our old style of playing along with the new. With influences ranging from Sybreed and Shinedown, to Queensryche, we hope to have made a sound that will appeal to many different hard rock fans accross the board.